The road to success is paved with skilful communication! You must have found yourself many times in situations where you weren’t able to achieve rapport with your colleagues, supervisors, employees, clients, or friends and family. 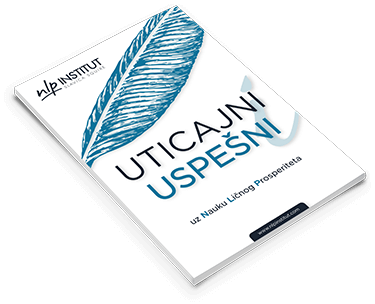 Indulging yourself in NLP magic, with every new page of this book you will have the opportunity to acquire new methods and techniques that will enable you to communicate more effectively. This free e-book will introduce you to all the little secrets of successful people – it will reveal which things require more of your attention in order to learn how to recognize several key, but less obvious hints on the person you are communicating with. On your personal road to self and the act of taking your life into your own hands, this book can become your support and your guide, but mostly inspiration. It takes you through the most important process in your life – it helps you to spark the courage you keep in yourself and free your internal resources that are captured by your emotions of anger and rage. Working with this book can help you grow wings and easily create and live the life you deserve. All you need is to follow the instructions, as the aim of this book is to provide actionable and tested tools and methods that will aid you in getting rid of burdens from your past, and become successful and happy, as well as stay that way no matter what. Are you looking for someone to love you back? Someone who will commit to you, who will celebrate you, introduce you as their soulmate? Someone who will be honored to become a part of your life and who will share their space with you and reside in your heart? Someone who will want to stay with you because you are beautiful, inside and out? 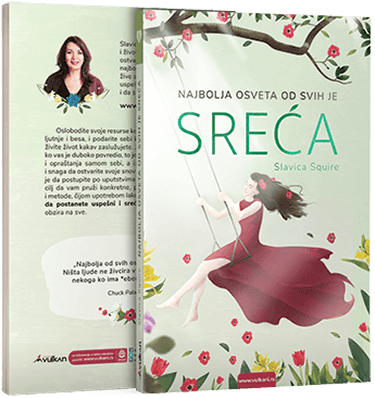 E-book by Slavica Squire “Kako privući i zadržati ljubav” will help you attract and keep love, but it will teach you how to love yourself in the first place. Love is the energy that lifts up every single individual, but also the entire planet. And when you find yourself in a relationship with your partner, when you love and respect each other, you acquire energy you need to fight for the greater good. With a number of NLP techniques at disposal, you will easily go through the process of spiritual growth and development we were born to experience. What are your plans for the future? Do you plan your own day or you let it plan you? In this e-book, Slavica Squire decides to share her life story with you – on her personal example you will discover what it takes to be successful. Her greatest desire is to motivate you to start the most powerful law of the universe, because if there is anything you really want, the entire universe will conspire to help you achieve that and make your life miraculous. And how to form your goals the right way, how to be sure that you have set them properly and how to determine your priorities? Download free e-book and allow Slavica Squire to guide you on the road to success one step at a time. Do you set aside enough time for yourself each day? Do you do what was set for you, what others have decided for you, or you truly feel that you are filled with positive energy and happiness because of what you do? To be sure that you devote enough time to yourself and your needs every day, Slavica Squire presents you with “Dnevnik Sreće” thanks to which you will pay more attention to all the wonderful things that make your life. The gratitude for the little things is buried deep down inside your thoughts, and this diary will help you order them in such way that you focus on your priorities.